They say that before making a change to your hair, you should ask yourself what do you wanna do with your life. I can be a creature of habit and stick to one hairstyle and color for ages, but then there comes a breaking point in my life where I suddenly decide that I need a change. You look fab! Id like to change my hair to a more reddy colour. 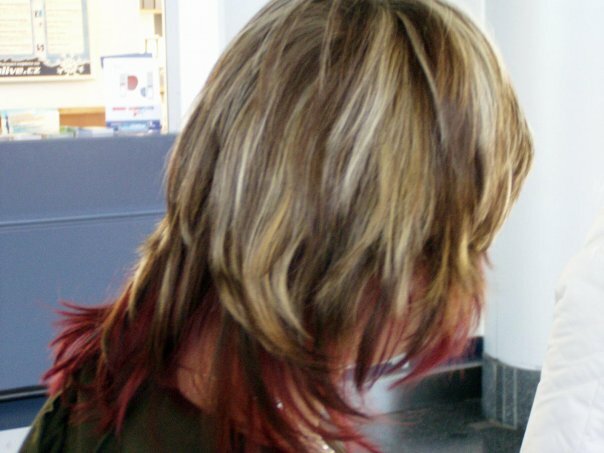 Ive never bothered to take the "red plunge" but i also like having highlights....decisions decisions..! you look so pretty, blonde or whatever!! I really like your hair. It's such a nice color, and a bit longer than usual :). what brand/shade is the burgundy color? i have been wanting to do a shade like that!